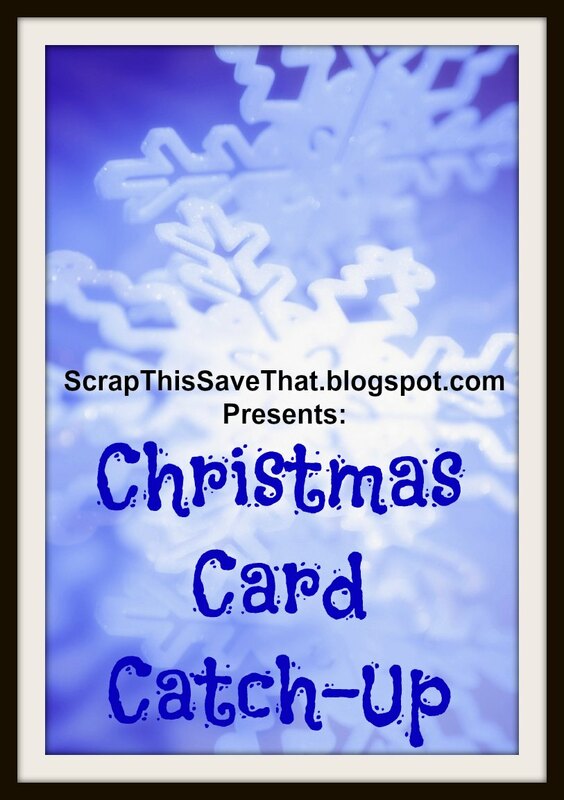 Welcome to week 12 of Christmas Card Catch-Up. 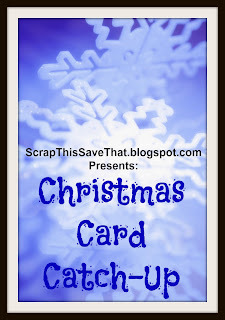 Week 12 means that I have 12 Christmas cards all ready to go when December rolls around this year. This is the first time EVER that I'm ahead of the game when it comes to Christmas cards! Yay! 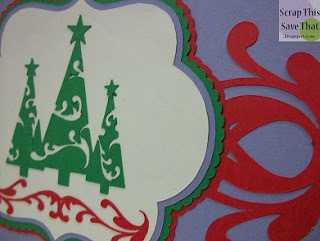 This week I chose to do a Silhouette cut called, "3 Tree Christmas Card Kit." This is another card kit like I was talking about last week. 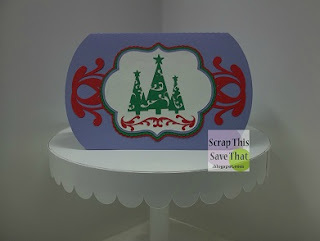 It comes with all the pieces and all you have to do is choose your colors and stack things together once they're cut. I LOVE the simplicity. Although it's a little hard to tell in the photo, the center tag is actually four layers deep Two of the layers are scalloped, so it gives a nice depth when you see it in person. The trees are incredibly ornate and delicate. 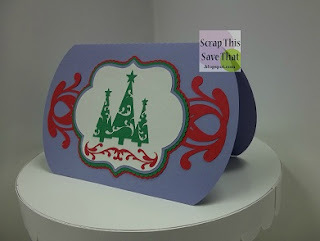 They weren't super easy to get off the cutting mat, but definitely worth the trouble once you see the over-all product! How are you coming along on your Christmas cards? Good, I hope! What a very striking colour combo looks terrific. Read my full disclosure policy HERE Copyright © 2014 - Scrap This Save That. All rights reserved. A Sale And A Giveaway!